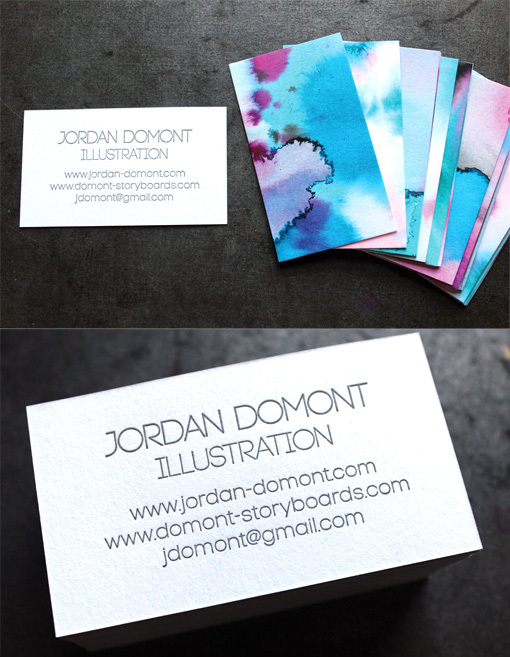 Jordan Domont used a simple but very effective and beautiful technique to make a set of unique business cards which show off his creativity and expertise as an illustrator. He used watercolours on a nice, high quality white card stock to create sheets of exquisitely patterned and coloured paper. These sheets were then taken to a specialist letterpress printing studio which printed Jordan's contact details on the white side.